There was little movement in US markets overnight, and in fact one analyst when interviewed not long after the close last night described the situation as ‘boring’. The general tone was more alarming with market commentators noting that despite the numerous negative geopolitical factors at play, investors appear oblivious to the risks that prevail. Ironically, this state of denial largely hinges around faith in President Trump to deliver on his election promises regarding tax reform and other issues. However, what he has delivered in the last week is allegedly classified information to one of the world’s largest foreign powers and sacked one of the most closely relied upon personnel in terms of keeping the country secure. Despite this backdrop, the Dow spent most of the session in positive territory before closing two points lower at 20,979 points. 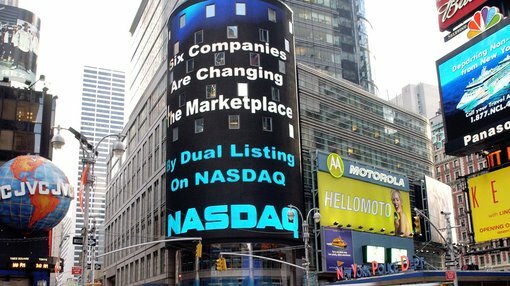 The NASDAQ claimed another record high, closing at 6169 points. The FTSE 100 continued to surge, breaking through the psychological 7500 point mark, and eventually closing at 7522 points, representing a gain of 0.9%. The DAX was relatively flat at 12,804 points. The Paris CAC 40 was down 0.2% to 5406 points. On the commodities front, oil retraced 1.3% to US$48.23 per barrel. Most of this dip occurred after European markets closed, perhaps suggesting that some of the better performances by energy stocks in the FTSE 100 could be lost in the next trading session. Gold continued to edge its way up, gaining 0.5% to US$1236 per ounce. Iron ore was relatively flat at US$62.20 per tonne. Base metals were sold down fairly substantially overnight. Lead was one of the biggest casualties, falling from nearly US$0.97 per pound to US$0.94 per pound, representing a decline of circa 2.5%. Zinc gave up 1% to close just below US$1.15 per pound. Nickel fell 1.5% to US$4.13 per pound. Copper was the most resilient of the base metals, only falling marginally to US$2.53 per pound. The Australian dollar strengthened slightly overnight to finish at US$0.742.